During the nineteenth century, insects became a very fashionable subject of study, and the writing of the day reflected this popularity. However, despite an increased contemporary interest in ecocriticism and cultural entomology, scholars have largely ignored the presence of insects in nineteenth-century literature. This volume addresses that critical gap by exploring the cultural and literary pos… ition of insects in the work of Henry David Thoreau, Emily Dickinson, and John Muir. It examines the beliefs these authors share about the nature of our connection to insects and what insects have to teach about creation and our place in it. 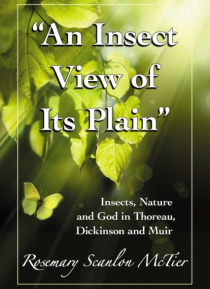 An important contribution to both ecocriticism and literary entomology, this work contributes much to the understanding of Thoreau, Dickinson, and Muir as nature writers, natural scientists, entomologists, and botanists, and their intimate and highly spiritual relationships with nature.